Marlow’s Old-Fashioned Independence Day Celebration will kick off with a parade at 9:15am on Main Street. Huge crowds gather to watch floats, horses, antique automobiles, antique tractors, Shriner clowns and more. The parade leads to a full day of fun for the entire family in Redbud Park. This event includes arts and crafts, game booths, rides, various food vendors and bingo. Bring your blankets and lawn chairs to the park at 6:30pm for a free concert that leads up to a huge fireworks display. 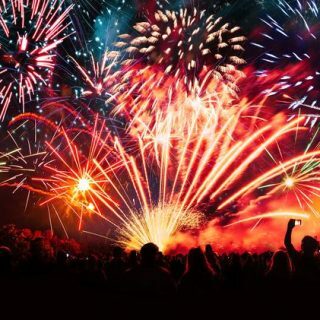 Stick around until 10pm for the Old-Fashioned Independence Day Celebration grand finale: one of the largest fireworks displays in southern Oklahoma.